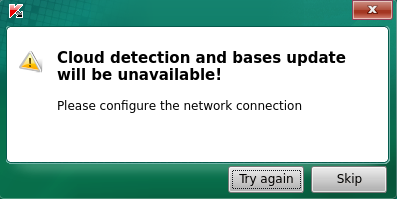 If network connection is not configured for Kaspersky Rescue Disk, you may see the notification “Cloud detection and bases update will be unavailable”. Kaspersky Rescue Disk will work correctly. Cloud detection and database update will be available.